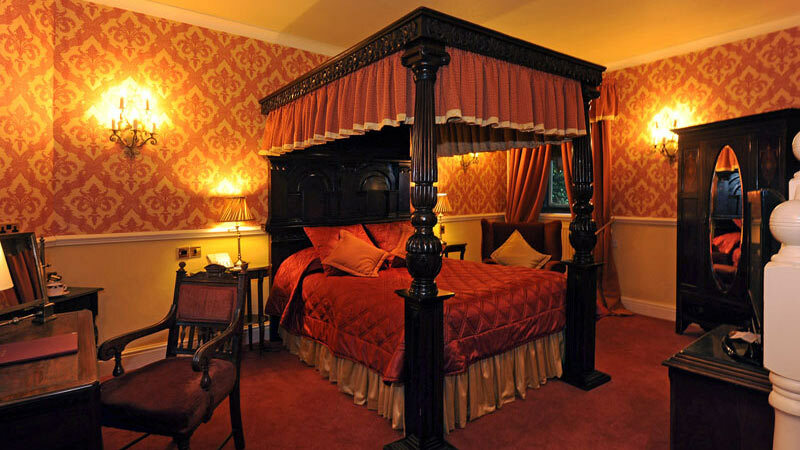 The castle boasts 73 unique and individual bedrooms, all decorated with furnishings which evoke a period of a bygone era; elegant drapes, four poster beds, feature baths and rooms with stunning views over the surrounding parkland. 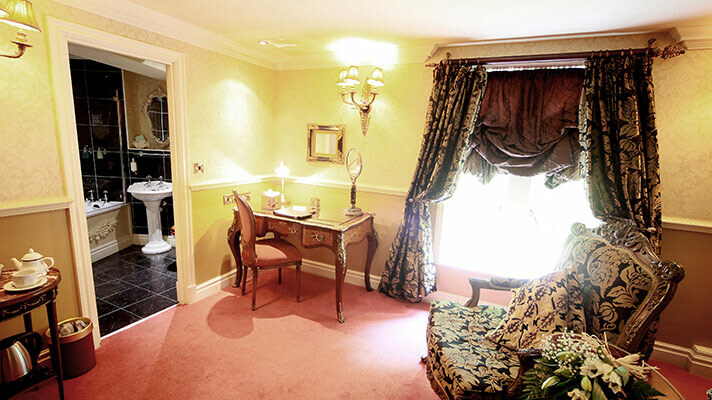 Rooms are located in the castle, the mews and the courtyard, ensuring that there is something for everyone's needs. 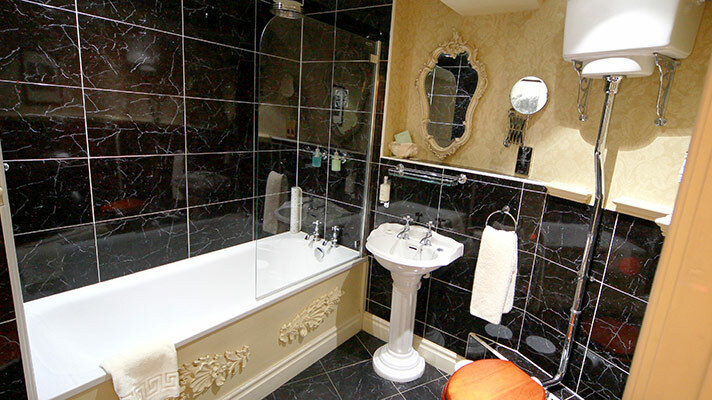 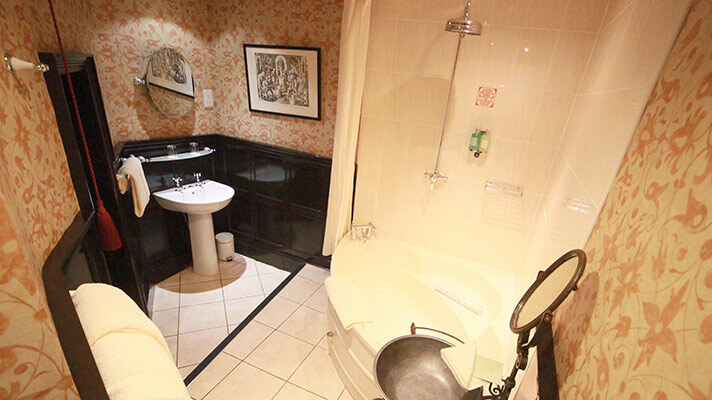 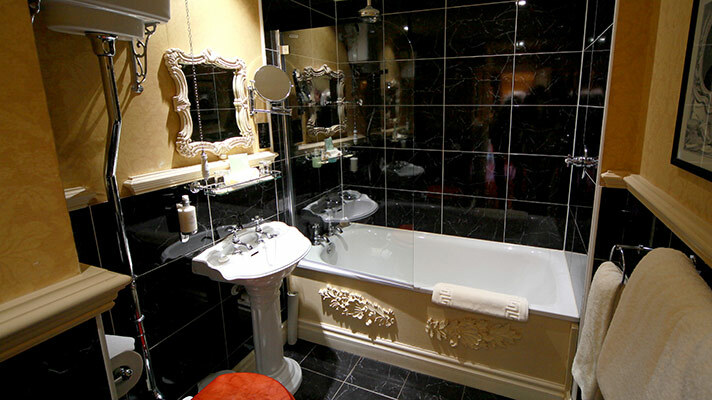 All of the rooms are fully en-suite, with flat screen TV and complimentary wireless internet. 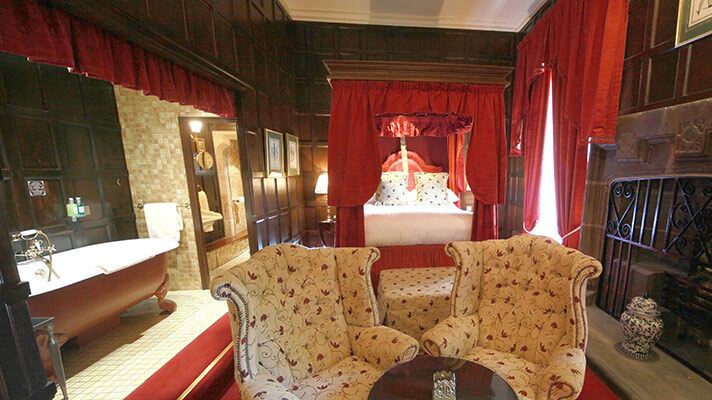 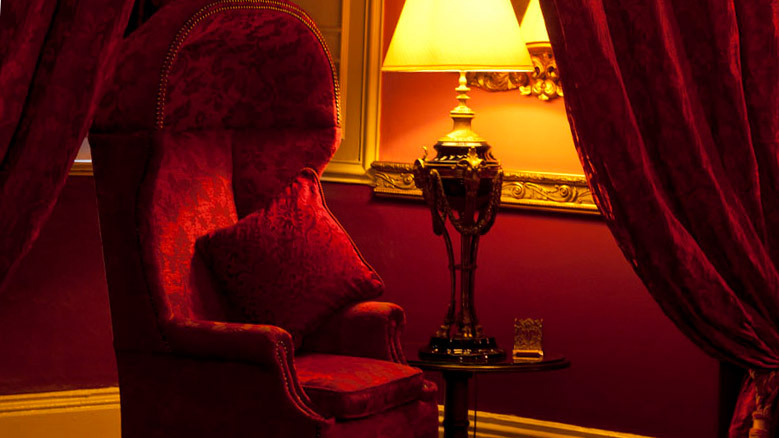 The King James Suite offers a remarkable experience for those looking for an authentic castle stay. 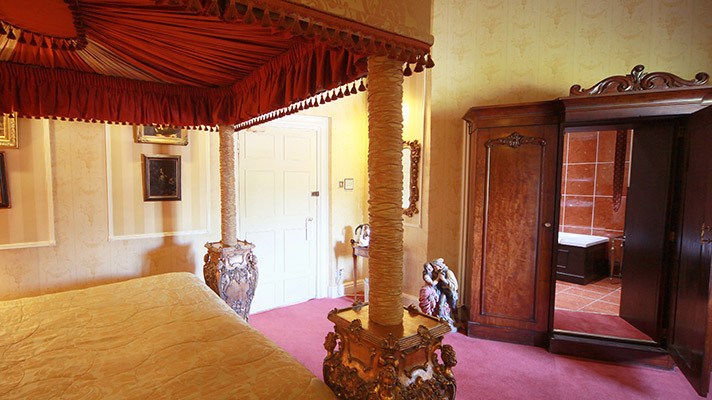 Named after James VI and I, who visited the castle in April 1603, the suite includes a magnificent 20ft high four-poster Queen Anne bed. 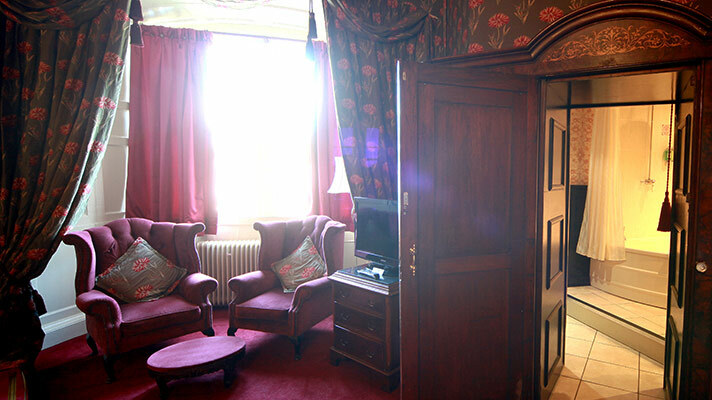 Formerly the chapel of the castle, it boasts its own sitting room, en-suite bathroom and Jacuzzi. 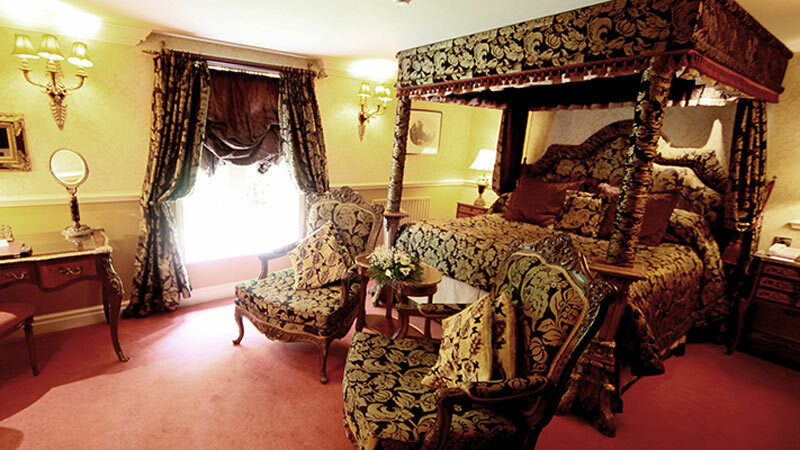 The Richard II is a stunning bedroom and a firm favourite with returning guests over the years. 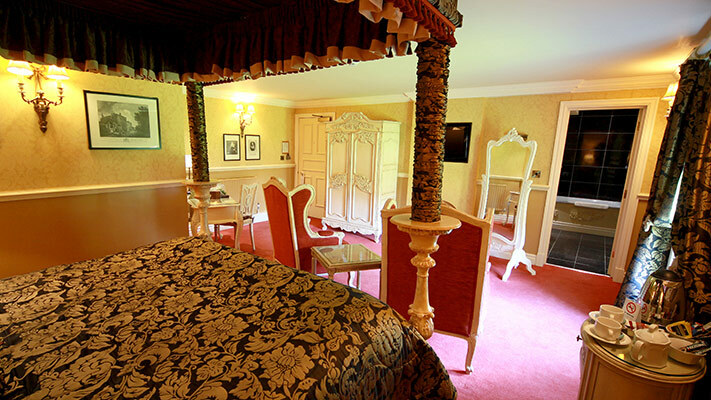 This room features a beautiful four poster bed and the famous ‘Narnia’ style wardrobe, making your stay a little extra special! 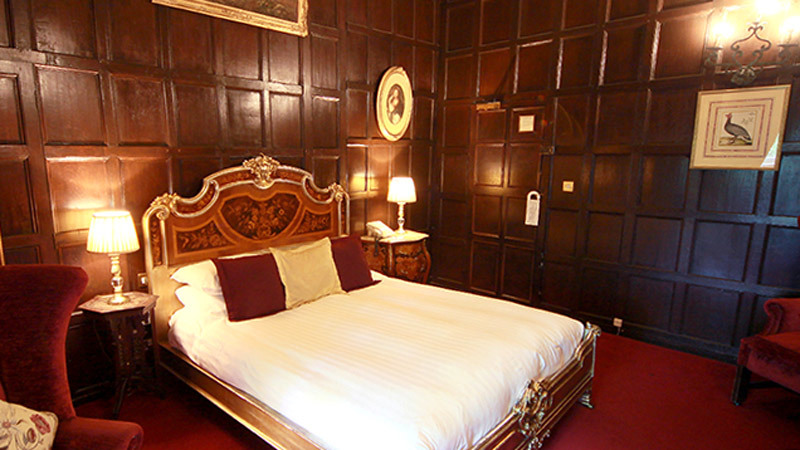 In 1400 Sir Ralph led a conspiracy to overthrow Henry IV with Richard II. 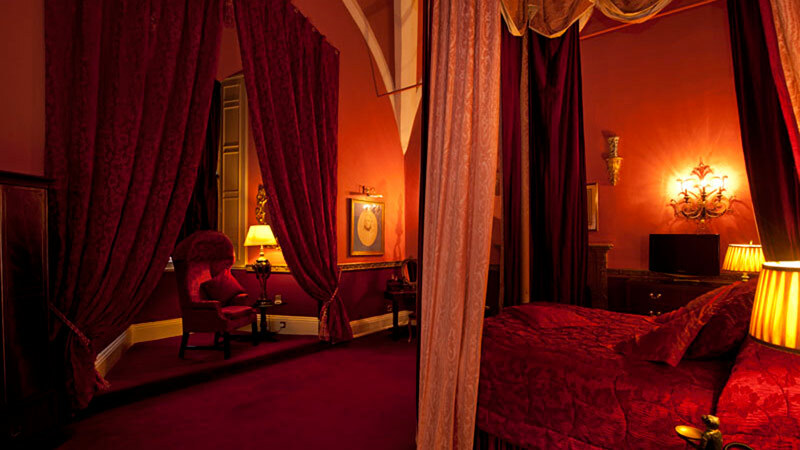 This coup failed and led to Sir Ralph and his son Thomas being arrested. 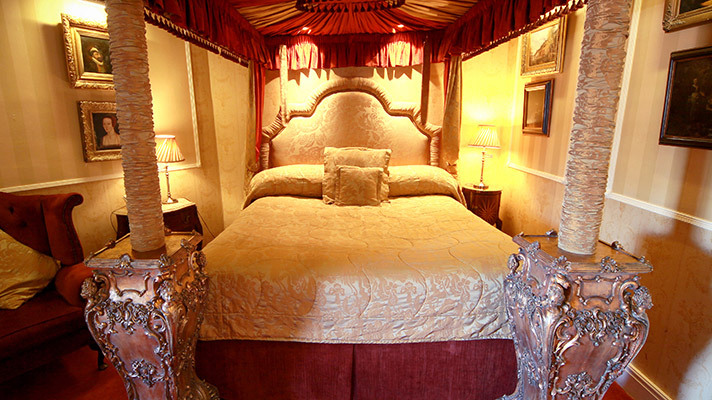 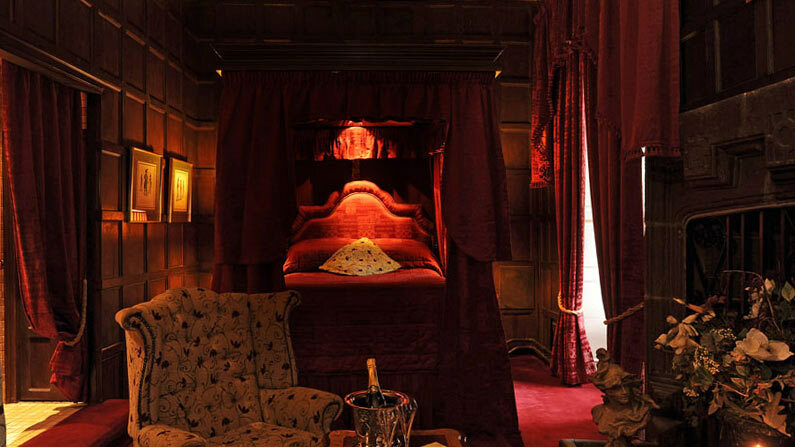 The Sir Ralph is a unique room, located in the Castle, that features a beautiful four poster bed and the famous ‘Narnia’ style wardrobe. 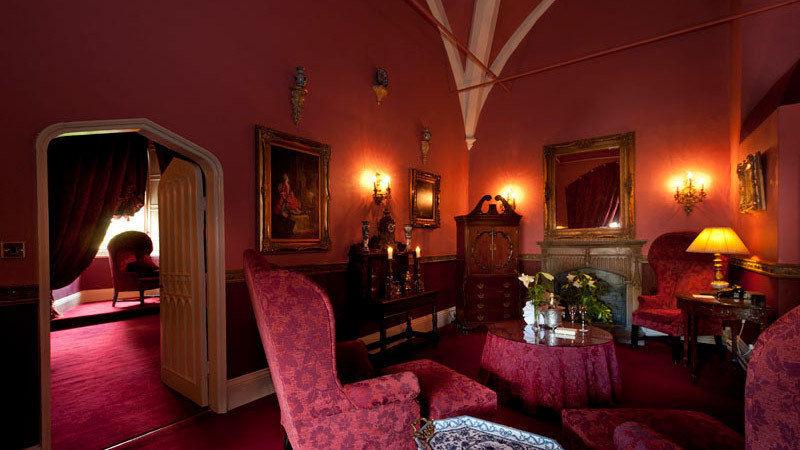 Lumley Castle takes its name from the man who was behind its creation, Sir Ralph Lumley. 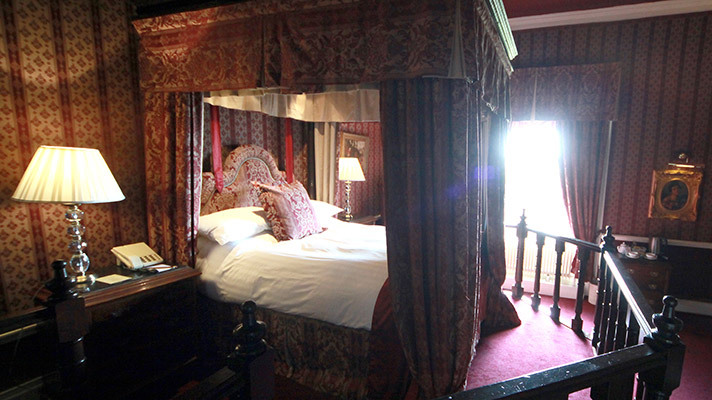 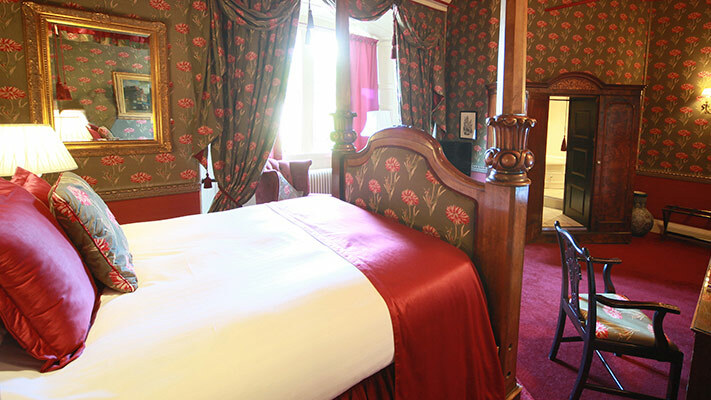 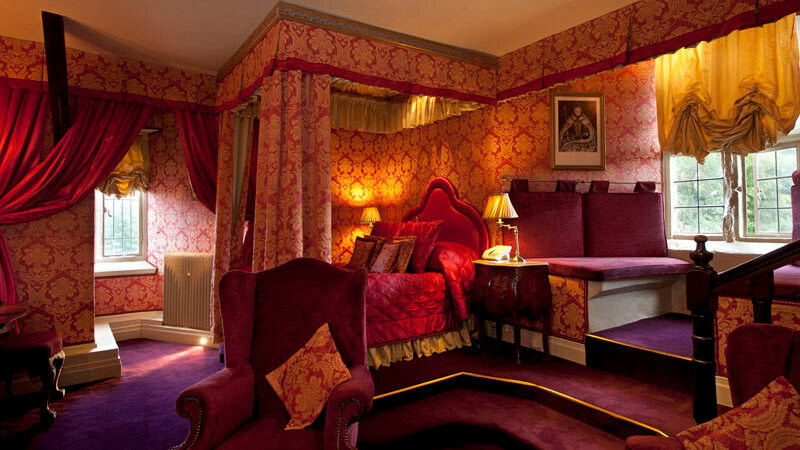 The Earl of Somerset, located on the second floor of the castle, is a richly furnished room with a four poster on a raised level and a quirky turret bathroom! 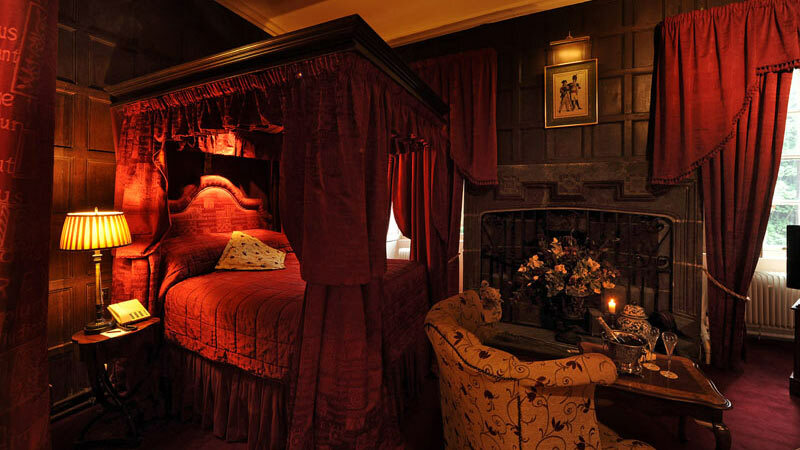 In 1400 all of the Lumley family's wealth was given to the Earl of Somerset. 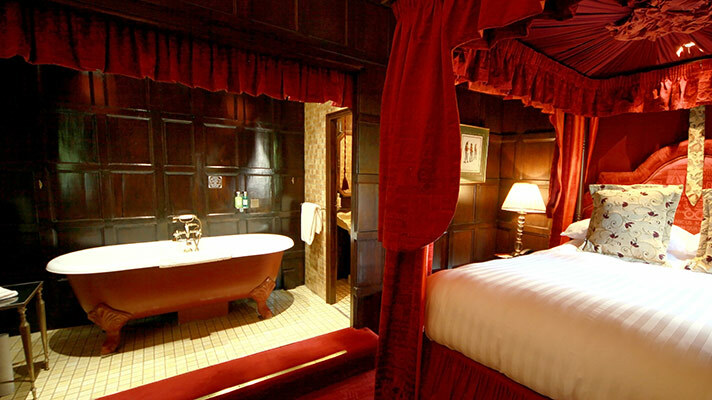 The Queen Anne is a unique castle bedroom with beautiful oak panelling, a four poster bed and a feature roll top bath, giving you the opportunity to make your stay one to remember. 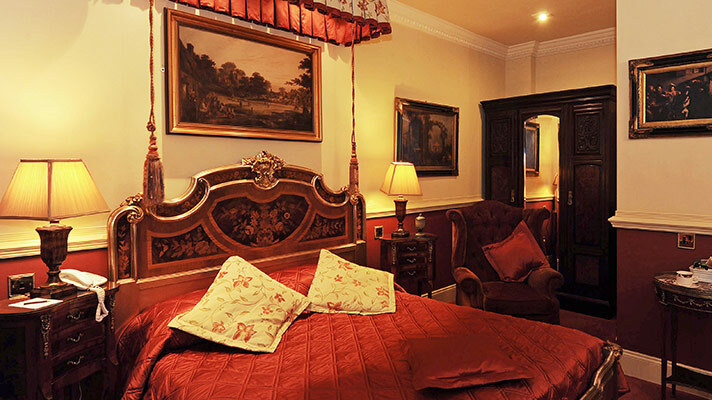 Queen Anne was the Daughter of King James II. 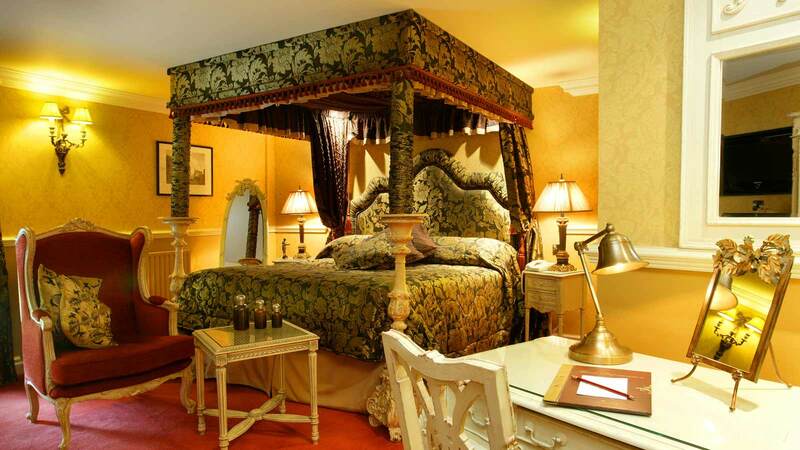 Anne became Queen of England, Scotland and Ireland on 8 March 1702 and was the last monarch of the House of Stuart. 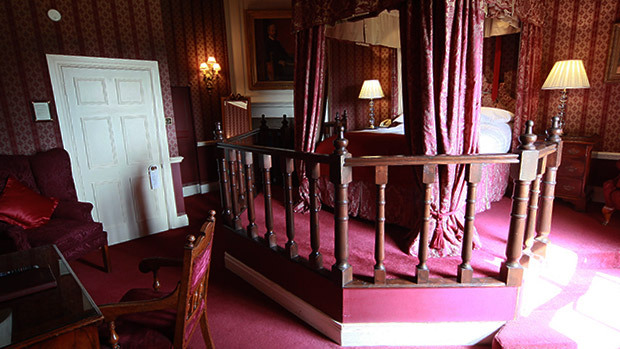 Feature bedrooms in the castle help make your stay extra special. 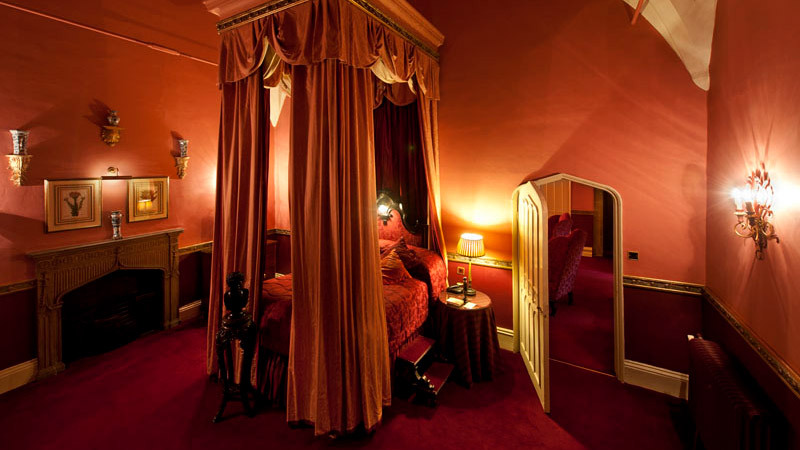 Many of the rooms have four poster beds, feature baths and other little surprises...such as hidden doors and turreted bathrooms! 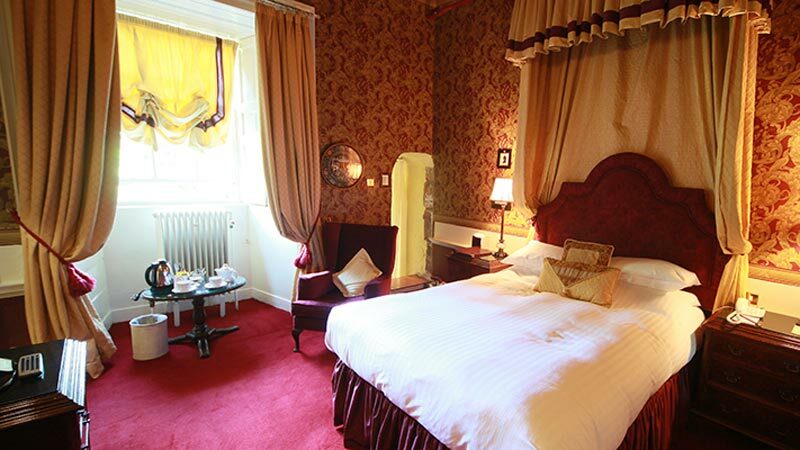 All have full en-suite facilities, flat screen TV, radio, direct-dial telephone, complimentary wireless internet, trouser press, tea and coffee making facilities, hospitality tray and hairdryer. 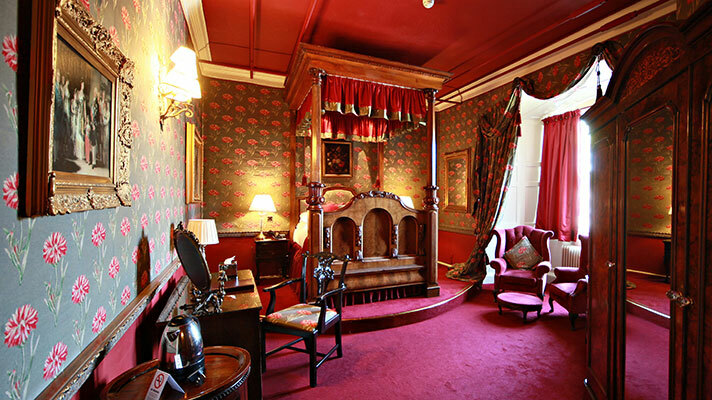 An overnight stay in a castle room is no ordinary experience; you might find your bed up a spiral staircase or in a turret. 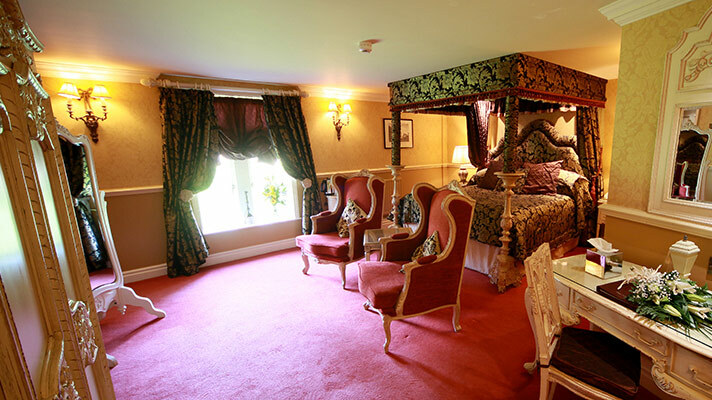 Each room is uniquely designed and both single and double castle bedrooms are available, many of which offer breathtaking views across the surrounding parkland. 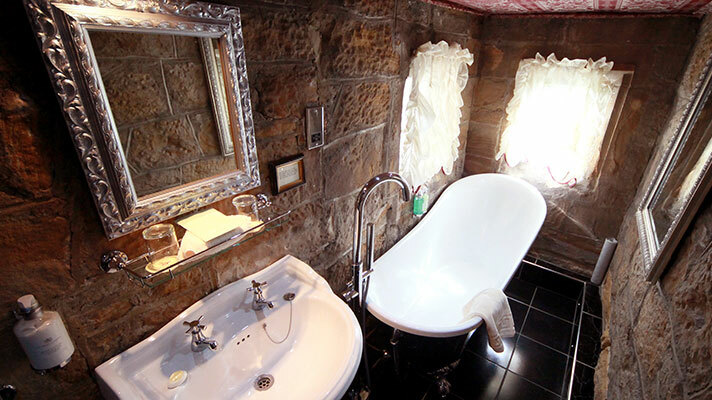 The ‘Castle Keeps’ are located in the castle; each room is uniquely designed, often featuring a fun quirky location for its en-suite bathroom. 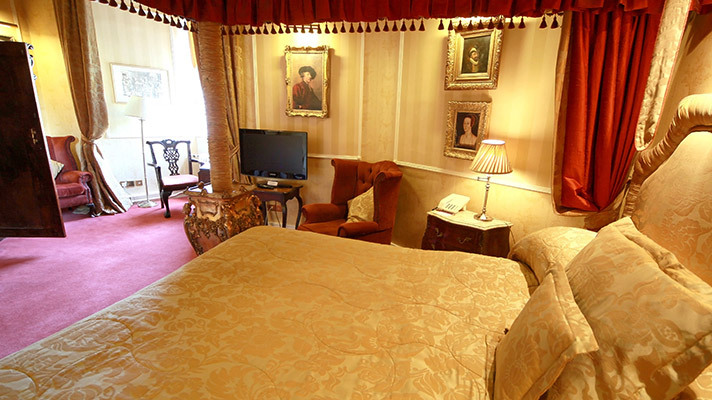 These rooms have full en-suite facilities, flat screen TV, radio, direct-dial telephone, complimentary wireless internet, trouser press, tea and coffee making facilities and hairdryer. 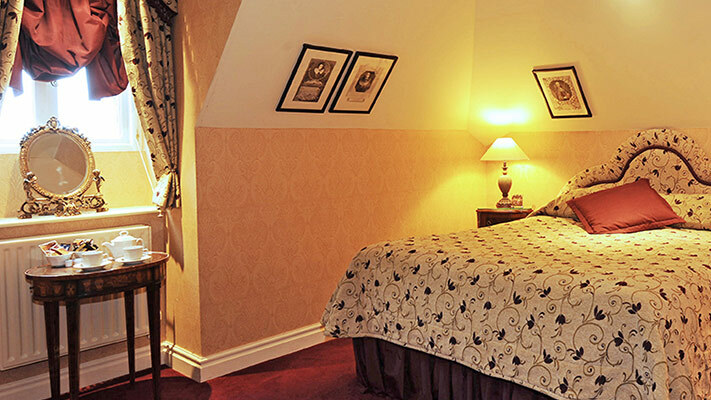 Located in the 'Castle Mews', immediately adjacent to the Old Courtyard, and naamed after Thomas Lumley, 1st Baron Lumley, this bedroom is stylishly furnished to a high standard. 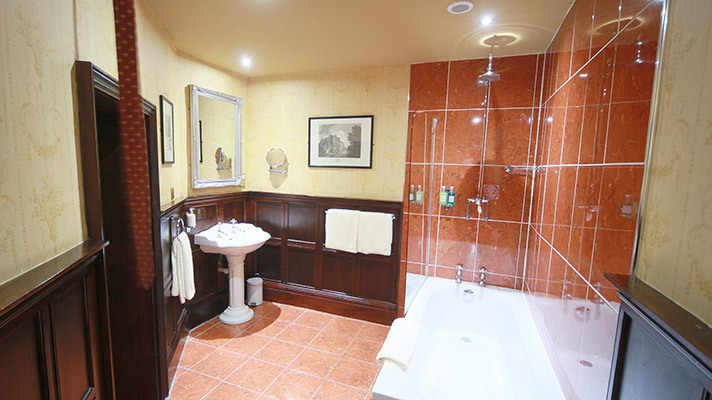 Located in the 'Castle Mews', immediately adjacent to the Old Courtyard and named after Thomas Lumley's succesor, this bedroom is stylishly furnished to a high standard with full en-suite facilities. 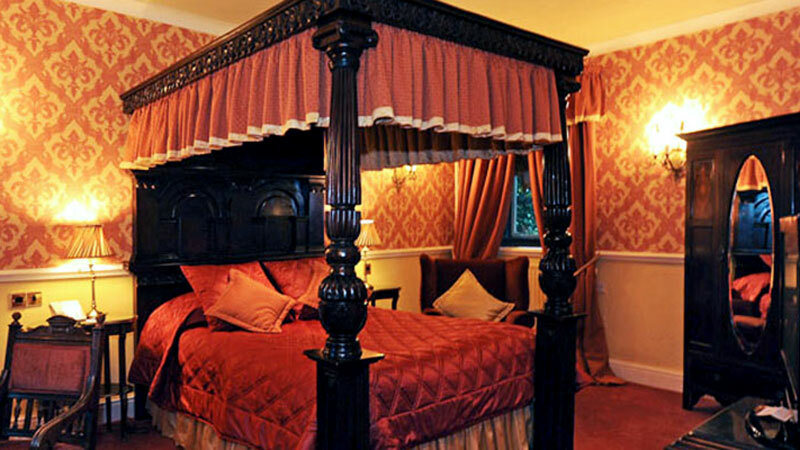 Located immediately adjacent to the castle, originally the stable block of the castle, the courtyard has been stylishly converted with each room furnished to a high standard with full en-suite facilities.